NASHVILLE-based TriStar Health Partners LLC seeks limited partners for a planned $100MM fund for investment in tech-enabled Healthcare services, Medical Devices, Pharma and other life/bio companies, according to several sources. 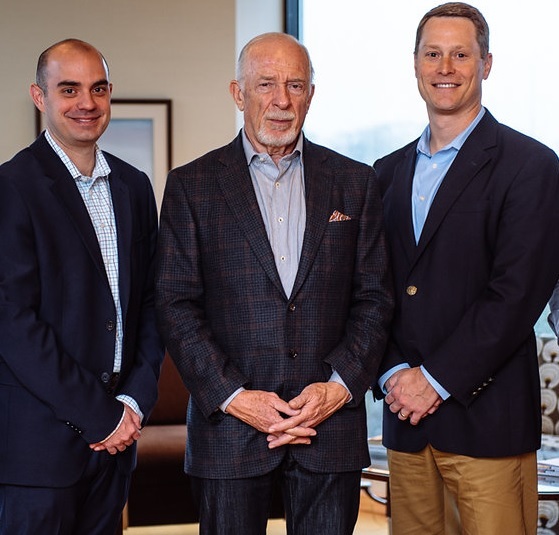 TriStar Health Partners (hereafter, TSHP) is a new investment-management firm that recently began operating in Music City. It is the de facto venture arm of The Institute for Innovation LLC and its Lab for Innovation LLC, two interrelated companies based in La Palma and Newport Beach, Calif., respectively. 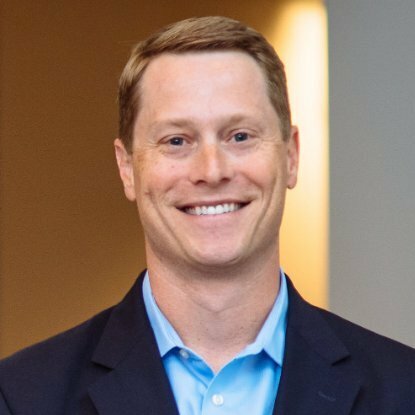 Christopher Rand, 39, recently became the Nashville-based president and managing director of TSHP, which seeks to raise TriStar Health Fund III. Reached by Venture Nashville this weekend, Rand declined to comment on particulars of the raise, other than to confirm TSHP has one underway. The for-profit Innovation Institute's network includes nonprofit member-owners: Providence St. Joseph Health (a sub of Renton, Wash.-based Providence Health and Services and operating in seven western states, including California); CHOC Children's (UC-Irvine affiliated, Orange County); Bon Secours (HQ: Baltimore area); Franciscan Missionaries of Our Lady Health System (Baton Rouge); and, Avera (Sioux Falls, serving the Dakotas, Minnesota). The nonprofit member-owners run more than 100 hospitals and 500 clinics; and, according to an earlier report by the Orange County Business Journal, each member has invested at least $10MM in the Institute for Innovation. 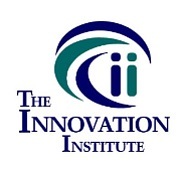 The Institute's Lab for Innovation focuses on commercialization of intellectual property; co-development with industry and entrepreneurs; supporting corporate and public ideation processes and "challenges" to spark corporate and/or community innovative thinking; and, it maintains a sizable portfolio of revenue-producing operating companies, producing earnings that help support the overall enterprise. Rand is also co-founder of Nashville Tri-Star Technology Ventures. That firm's first fund was its Tri-Star TNInvestco Fund ($14MM capital raised via the State's TNInvestco capital-formation program). Tri-Star Tech's traditional Fund II totaled nearly $25MM. Both those funds are essentially now all-committed, Rand confirmed. Rand's co-founders in Tri-Star Technology Ventures are Chairman Harry Jacobson, M.D., and Brian Laden, Ph.D., both of whom now play similar roles within TSHP. Jacobson has been a straight-talking advocate of constructively disrupting U.S. healthcare via tech innovations and other means, for a decade or more. He is also co-founder of Nashville-based Epiphany Health Ventures, which earlier this year invested $19MM in MindCare Solutions, a tele-behavioral health company based in Nashville and built upon the COPE platform, in which Epiphany and others announced investing $30MM in 2013. Further, Jacobson is chairman of MedCare Investment Funds. Jacobson retired in 2009 as Vanderbilt University vice chancellor for health affairs and as leader of the VU Medical Center. Until about that same time, Rand and Laden played key roles in the tech commercialization program that served both institutions. Rand said the group's Nashville execs "already have a very integrated/synergistic relationship" with the Institute's CEO Joe Randoph, Chief Investment Officer Barry Didato and EVP Larry Stofko, who leads the Lab. 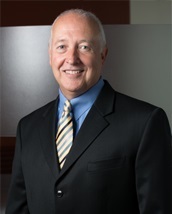 Notably, Institute CEO Randolph is a former COO of then-St. Joseph Health System (which recently merged with Providence). Here are the TSHP team page and the Institute for Innovation team page. A breeze of a deal, or not, there remain a few to-do's, in addition to raising all that money: For example, Rand said TSHP has not yet chosen its legal or accounting/audit advisors, or its commercial bank. He said the new company is in "pretty late-stage discussions" with both Nashville and California candidates. Rand said the transition has been eased by the principals' shared mind-set, congruent objectives and mutual trust. "We all get along as human beings," he added. Jacobson, Rand and Laden collectively enjoy investment decision-making authority on par with that of the Institute, which announced in August that it holds more than 50% of the equity of the management firm, per se. The TSHP deal came together after roughly a year of earnest discussions. Prior to that process, Rand and Laden had been introduced by Jacobson to the Institute's EVP/CTO, the aforementioned Stofko. There were business drivers in the deal, of course: Creation of TSHP allows The Innovation Institute to avert having to build an investment-management platform from the ground-up. 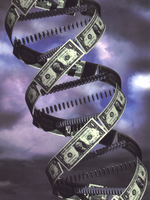 And, the transaction affords the principals of TSHP broader access to potential healthcare and life-sciences investors, strategic partners, dealflow and potential customers for portfolio companies and/or investors. Rand said he expects both TSHP Fund III and Tri-Star Tech's TNInvestco and Fund II portfolio companies to benefit from access to the Institute for Innovation's network. Rand explained that many of the dozen operating companies that populate the Innovation Institute's portfolio "have grown significantly after being acquired by the Innovation Institute. Some might have provided services for one of the Member Owner hospitals in the past, some were third-party companies that simply benefited from the significant customer base" represented by the aforementioned member-owners. "We very much hope/expect that our portfolio companies will benefit in the same way," Rand added. The Institute's network is expanding on other fronts: A few weeks ago, the Institute announced "an exclusive global agreement with the Society of Physician Entrepreneurs [SoPE, based in Connecticut], a biomedical and healthcare innovation network of over 25,000 international members, to collaborate on concepts, ideas, and solutions that will improve healthcare delivery..."
The allies said in a recent press release that TriStar Health Fund III will help fund companies "across the spectrum of healthcare innovation: life sciences, diagnostics, medical devices and technologies, healthcare IT and [tech-enabled] healthcare services." While Rand acknowledged those criteria are very close to Tri-Star Tech's long-standing targets, he said he believes TSHP's boundaries will expand. For instance, he said, with access to a larger fund, TSHP is likely to place greater emphasis certain segments of Pharma, leveraging the related experience of TSHP Managing Director and VP Brian Laden. VNC notes that Chairman Jacobson is a former member of the board of Merck. Asked about HealthIT going forward, Rand said he perceives it as "a tough space" mainly because of difficulty getting traction among customers at a rate attractive to acquirers. He added that he believes that models such as TSHP's can make a difference for HealthIT companies, partly by affording access to physicians, nurses and other clinicians who can provide diligence on ideas and business plans, and then possibly become product-service adopters. Rand recalled that Tri-Star Tech had in 2011-12 attempted to get at similar issues in the Medical-Devices sector, partnering its TNInvestco fund with another TNInvestco, Limestone Fund, and a group called Medical Device Innovations (MDI), but got insufficient valued and pulled that plug. Related story here. Asked about Tri-Star Technology Ventures' portfolio, Rand said Tri-Star Tech will continue to "manage-out" its portfolios, adding "We very much expect to have some liquidity events in Fund II in the next 18 months." A press release from the Institute refers to the principals in Tri-Star Technology Ventures as having invested in 23 companies since 2002, which would apparently include deals prior to formation of Tri-Star Tech. According to Crunchbase today, Tri-Star Tech has made at least 49 investments, listed here. The State's TNInvestco page lists 58 transactions by the Tri-Star TNInvestco Fund, since inception, a number which reflects multiple equity investments, debt and converted debt, etc. For the record, an earlier report by a California newspaper reported a much higher target for the first TSHP fund, but VNC research indicates that story was in error and has yet to be corrected. Search for earlier VNC news about Tri-Star Tech here or here. The former Tri-Star Technology Ventures website now redirects to the TSHP site, though Tri-Star Tech remains an active state business registrant. Nashville-based TSHP was chartered in Delaware in May, this year.